I recently connected with Gopi to talk about cultivating creative community, building a business, and finding her flow. I hope you'll discover through Gopi's story the same fiery motivation I did to embrace my art with passion and with playfulness. Because life is short and sweet and ours to infuse with joy. KW: Your work is infused with a playful spirit and attention to craft. 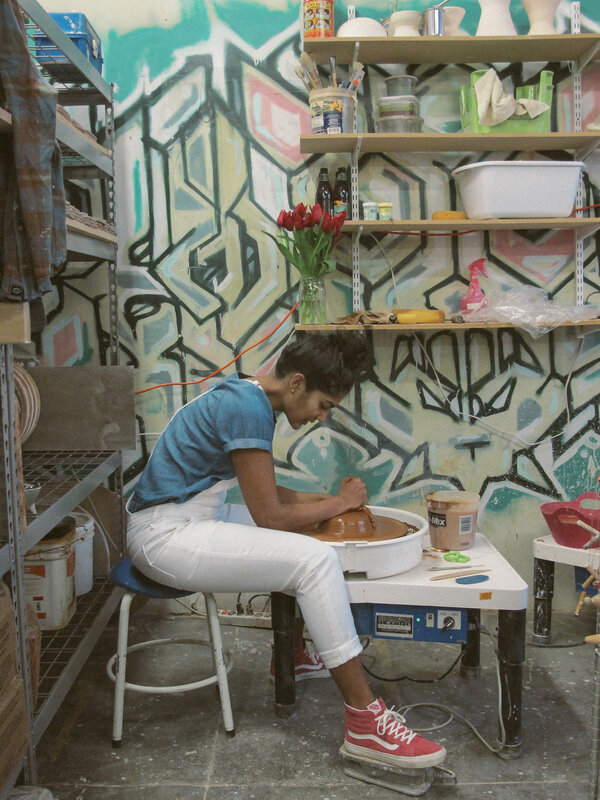 How do the ceramics you make reflect who you are? GS: My pottery is obviously influenced by my surroundings. If you take a look at my home furnishings, there is a lot of folk art and decor from my travels or from friends who are artists. I am not much of a minimalist type that has neutrals everywhere, and that's reflected in my ceramic line— the tipis have a ton of color, the planters have texture and carvings, and the dolls have their own personalities. 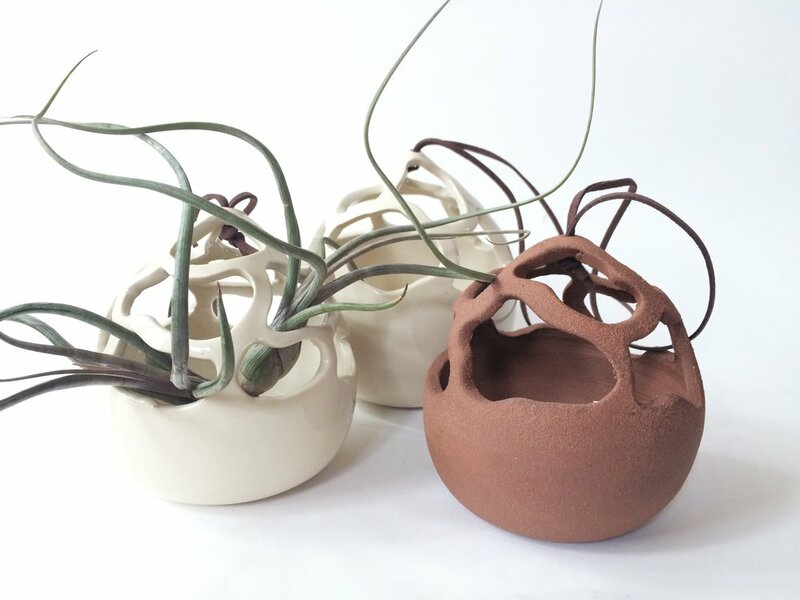 I bounce around a lot between ideas, techniques, and styles and have been told my ceramic line is not cohesive; however, I don't think that's a negative. I like exploring and learning, and each piece that I create has something new I learned and wanted to express in it. KW: You've lived everywhere from Austin to the Bay Area to Long Beach! How does place shape your work? GS: Yes! I have moved a lot and wouldn't suggest moving a ceramic studio as many times as I have. Each place has shaped me as a person, which then influences my work. Austin was a great place to start my business—it was a supportive environment, easy to network with local shops and other artists, and was affordable. I learned a lot from my mentor there and was able to learn to do pottery in a non-academic setting. San Francisco helped grow my business—I got to work with some amazing shops in the Bay Area that really bolstered my name and my work professionally. And now I'm excited to be in Long Beach which feels as small and community-driven as Austin, but is also connected to an incredible art and small business scene. In each city, my line has grown and developed and I have learned more as a business person—which items sell better than others, what products may do well, how to expand professionally, etc. Pottery has taught me a lot about slowing down and enjoying life, being patient, and reflection. 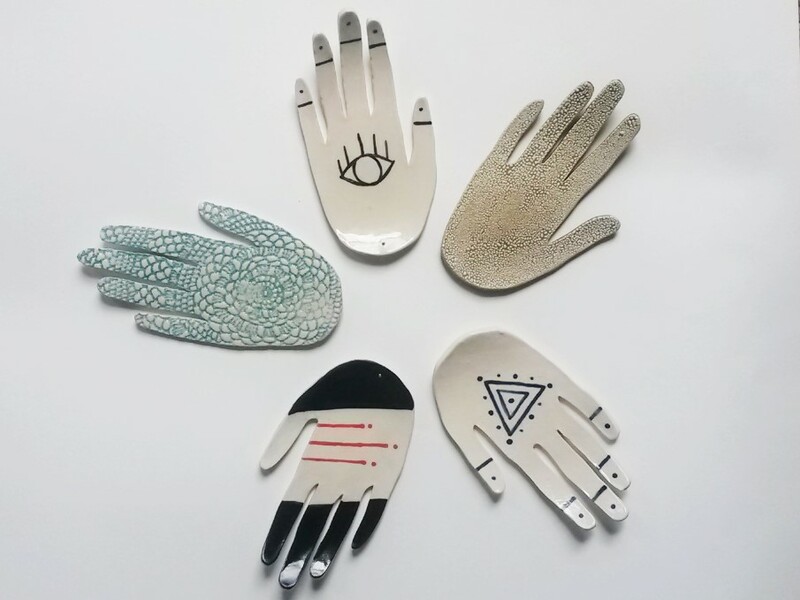 KW: What experiences brought you to your work as a ceramic artist? GS: I learned pottery in high school under an incredibly kind and knowledgeable teacher. In college, I was able to take classes at the School of the Museum of Fine Arts in Boston and then continued that education at Santa Monica College while working full time. Pottery has taught me a lot about slowing down and enjoying life, being patient, and reflection. It has also afforded me an opportunity to connect in a different way with my community and fellow women-owned businesses. KW: What kind of energy do you want your functional art to bring to its new owner? GS: Ceramics is a meditative process—you end up falling into a rhythm while creating a piece and forget about everything around you, including time. I hope that this calming energy is what is transferred when someone uses one of my pieces and feels the ridges from my fingers that created each piece. I hope that this calming energy is what is transferred when someone uses one of my pieces and feels the ridges from my fingers that created each piece. KW: Can you share with us the creative process behind your hanging planters? GS: Something I love about the hanging planters is they are constantly involving and no two are alike. I throw each on the wheel, paint the outside with a liquid white clay, and hand carve the designs onto each. The planters are also a great way for me to experiment with another medium— leather and rivets. I love the orange, black, and white fine line details of Acoma pottery. Though I am inept at this kind of pottery, I appreciate the geometry and accuracy of this work. The hanging planters are my way of expressing the colors and geometry found in this type of pottery. I started with experimentation in design but have found somewhat of an equation to go by for each planter—a top thin band, a middle thick ban, and some bottom rings that generally are sun-shaped. Carving these planters takes a lot of time and a steady hand, but I love that they are unique. KW: At Loam, our work is centered on sharing strategies for "embodying hope." This means finding ways to bring our vision for a better world into practice through our everyday actions. What do you do to cultivate hope in your heart, home, and community? GS: A better world to me would be one where citizens are safe, have access to basic rights including dignity, housing, food and water, and healthcare, and where there is a sense of pride for their community. I have been on the giving and receiving ends of hope and have appreciated every moment of building my own community through pottery. Moving around the US and getting to meet various types of people has broadened my sense of self, perspective and thankfulness for others. Community is very important to me, and I love getting to know my neighbors and small business owners in my community. I used to work at non-profits, and it's been tough not being on the front lines anymore. However, through collaborations, working with other small business owners, and donating pieces to causes I care about, I have found ways to work with my community and try to make it a better place for everyone.